XT Double Viton Upgrade is for "wetted parts" only. Available only the following: 248133, 248129, 248130 & 248128. These are all the rings for the side seal assembly and check valve assembly. 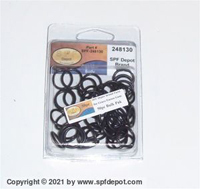 Certified DuPont™ O-rings. Custom Manufactured specifically for SPF DEPOT. Mil-Spec Grade. 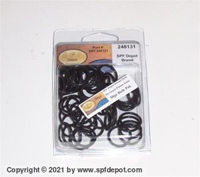 If your buying O-rings that are not "Certified DuPont™", then you don't have a true Viton™ O-Ring.